Putting together a hockey team? Read these tips on becoming a team manager. 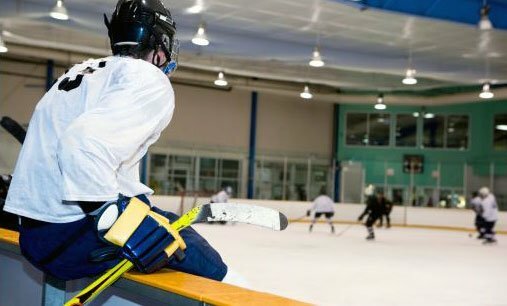 So you want to start a recreational hockey team. You have the time, the money, and enough friends who are interested. But what really goes into managing a recreational league hockey team? Here are some tips and tricks for the new team manager, gleaned from my past seasons of rec hockey league play. Getting a jump on preparing your team is very important, especially if it’s your first time doing it. That’s because it will give you breathing room should any of your potential teammates bail on you at the last minute. For example, for my summer hockey league that started in May I began preparing my team in January. That might sound like a crazy amount of time to plan, but your teammates will probably need it. Plus, some individuals will appreciate the time to set aside the funds, rather than having to come up with one lump sum. Another reason for this is that it gives potential teammates time to mull over playing for your team. In January, I had my full roster of 15 players tell me they were going to play. However, when it came time for them to put down their deposits in March, I had 5 guys tell me they weren’t interested in playing anymore. Luckily word spread among my buddies that I was a team manger that was putting together a hockey team, and so I already had a few individuals on a waiting list. Designing your team jerseys can be one of the more pleasurable experiences of being a team manager. But if you don’t put that order in ahead of time, you could be showing up to your first game empty handed and having to face some disappointed teammates. To be safe, order your jerseys at least a month in advance. You should also verify with your desired custom-jersey shop as to how long it will take for them to deliver your jerseys. Have some fun and consult your teammates for team names and jersey designs. Take a poll and roll with what most people like best. Most importantly, choose quality jerseys over cheaper ones! Nothing is better than seeing your teammates walk in to the locker room and get blown away by the quality of their jerseys. Once you have assembled a team of dedicated individuals, tracking the payments from them can be a stressful experience. Unless you belong to a league that accepts payment directly from players (or teams), between league dues and jerseys you may be managing several thousand dollars. There are a number of team-management websites and apps that have built-in finance tracking, along with such features as text-message game check-ins, team stats tracking, and more (BenchApp is one). Seriously, I went from always stressing about having enough players showing up to the games, the team dues, and more, to not even worrying about them at all. Your teammates are each spending several hundred dollars to play on your team, so as team manager you must do your best to improve the overall experience for them. Buying 3 simple items will definitely help: pucks, water bottles, and a speaker. Pucks Do your team a favor and pick up a dozen pucks (about a buck apiece). Trust me, 15 players trying to do warm-ups with 3 chewed-up pucks that came from the bottom of someone’s bag is not a great way to start the game. And don’t forget the puck bag! Water Bottles Be sure to score a set of these (there may even be one with a holder for all those fresh pucks you just bought!). You might not think you need one, but chances are your teammates will forget their own bottles every now and then. A set like this was able to keep my team of 15 guys hydrated for the full 60 minutes. Just make sure to wash them (the bottles that is!) after each game. Speaker This accessory is optional but highly recommended. The guys on my team seem to really enjoy getting pumped up listening to pregame tunes. A Bluetooth speaker is ideal for that, since it’s compact enough that you could toss it in your hockey bag. Plus, anyone can connect to it with a smartphone or iPod and it’s battery powered. Whether you are playing with a team of friends or a bunch of random people that don’t know each other, hosting a Get-to-Know-Each-Other/Start-of-the-Season party is a great way to kick off the season. It allows everyone on the team to get to know one another; and even if everyone already does it’s just an excuse for you all to hang out and talk hockey for a bit, and get excited about the upcoming season. Since you’re already out of the house, try to hang out with your teammates after your games. After all, your night is already dedicated to playing hockey. Whether you head out to a restaurant, bar, tailgate in the arena parking lot, or even just kick back in the locker room, it’s a great way for getting to know each other better. We all play hockey to be a little competitive (to some degree or other) and to keep enjoying the sport we love. However, in the grand scheme the main thing to keep in mind is it’s all in good fun. So as a team manager, you must do your best to alleviate the stress on yourself. This way you can just focus on playing the game, while at the same time make it a positive experience for your teammates. Spencer Cook is the founder of beerleagueblog.ca. His dad, a diehard Montreal Canadiens fan, made sure that hockey was a part of his life since he was born. How did he repay him? By becoming a Leafs fan. Success in the Playoffs: Is Your Team Ready?